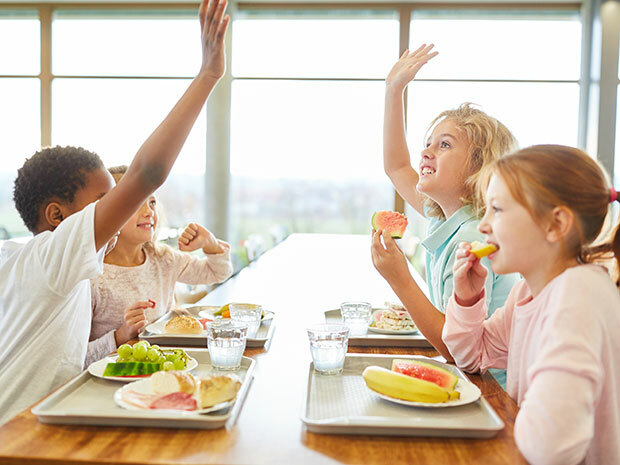 At one time, the idea of serving vegetarian meals to kids seemed a stretch for most mainstream menus—but much has changed in recent years. A 2018 report from NPD notes that more than half of consumers who occasionally choose to eat vegetarian or vegan meals don’t actively avoid animal products, so even if most diners aren’t vegetarians or vegans, operators still have an opportunity to showcase plant-based options. Additionally, 67% of Gen Z consumers report seeking out more plant-based foods, according to the 2016 Consumer Planning Program (CPP) from IFMA and Datassential. Ensure these customers are aware of the plant-based options available by marketing plant-based options effectively. It’s easy to stick with the tried-and-true student favorites, but it’s time to push everyone outside of their comfort zones. Sixty-five percent of consumers overall say they like to try new flavors from time to time, according to Technomic’s 2017 Flavor Report, and switching out the protein in a classic dish for a plant-based item is one way to offer this novelty. This might mean making lasagna with veggie crumbles instead of ground beef or vegetarian burritos stuffed with fajita-style veggies and beans—both offer plant-forward choices in a familiar way. Although some kids might always prefer pizza and chicken nuggets, students today have a more sophisticated palate. In fact, 69% proclaim themselves to be “foodies,” according to a report from UNiDAYS, and they list food as one of their top obsessions, even above music and sports. Today’s kids want to know more about their food—where it comes from, what’s in it and what types of spices make up the flavor. Kids often eat with their eyes first, and they expect school dishes to have the same aesthetic appeal as restaurant foods, so make sure dishes look just as good as they taste. For more ways to engage kids, visit Menu Explorers here. Given that Gen Z is the most ethnically diverse generation to date, it makes sense that they are going to be the most likely to crave international flavors. More than half of Generation Z consumers say they are willing to try ethnic flavors, compared to just 36% of all consumers, according to Technomic’s 2017 Flavor report. Find inspiration through dishes such as Gyro Veggie Pitas. Don’t assume customers know which entrees are vegetarian and which ones have meat in them. Make them stand out by labeling the items properly. Include a leaf symbol or a plant-based protein graphic for the menu item so that diners know immediately which dishes are plant-based and can make choices accordingly. There are several ways to survey students to get their thoughts on new menu items. Of course, there’s the old-fashioned way of asking them to rate a menu item via paper and pencil on their way out of the lunchroom. However, there’s again an opportunity to turn to social media to not only ask customers what they thought of the plant-based menu items, but also what they would like to see more of. Create a poll on Facebook or another school-based platform with potential menu items for people to vote on—even if it doesn’t seem like vegetarian Indian curries would be a hit with students, their answers might be a surprise.